Aleesoft Easy Blu-ray Creator is a very simple Blu-ray Creator. This Blu-ray Creator can help you convert, author and burn TS to blu-ray disc . Supports high-definition (HD) video output in various resolutions: 1280x720, 1440x1080, and 1920x1080, also support 720x576 PAL, 720x480 NTSC. 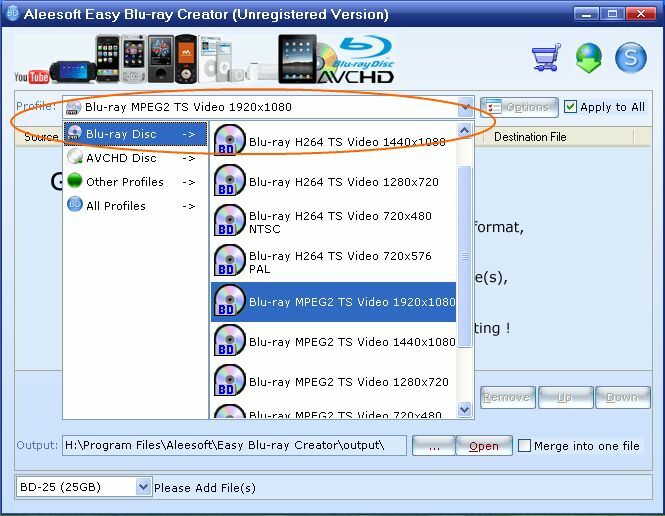 Meanwhile, Aleesoft Easy Blu-ray Creator can convert TS to DVD, VCD, SVCD. Transport stream (TS) is a standard format for transmission and storage of audio, video, and data, and is used in broadcast systems such as DVB and ATSC, Transport Stream is specified in MPEG-2 Part 1, Systems. The connection of Transport Stream to Program Stream is as follows. Firstly, PS is designed for reasonably reliable media, such as disks (like DVDs), while TS is designed for less reliable transmission, namely broadcast. Further, Transport Stream transmissions may carry multiple Program Streams. Before converting and burning TS video to blu-ray disc, please download and install Aleesoft Easy Blu-ray Creator. Step 2: Add video. Click "New Task" button to add ts video to this Blu-ray burner, also you can drag and drop video file from windows explorer into this ts video to Blu-ray burner. Step 3: Convert. 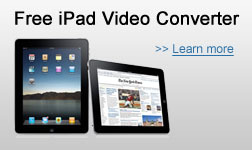 Click "Convert" button to start converting and authoring video to BDMV. Step 4: Burn. 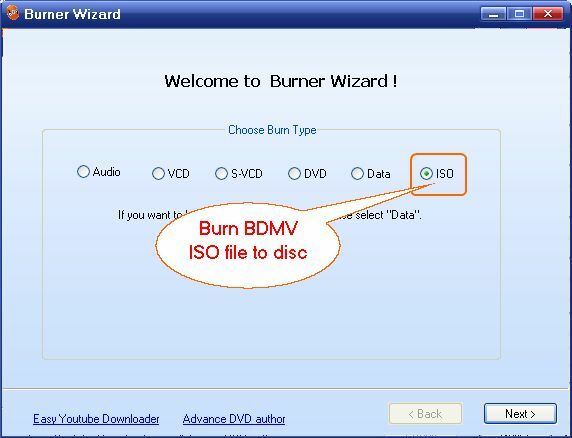 after ts video conversion completed, the powerful media burnner will be pop-up, you can burndig the converted ISO file to Blu-ray disc or AVCHD DVD. After burning completed, playback the burned disc on your Blu-ray player and Sony Playstation 3, enjoy to watching your TS movies. Now download Aleesoft Easy Blu-ray Creator and start a good HD video life.